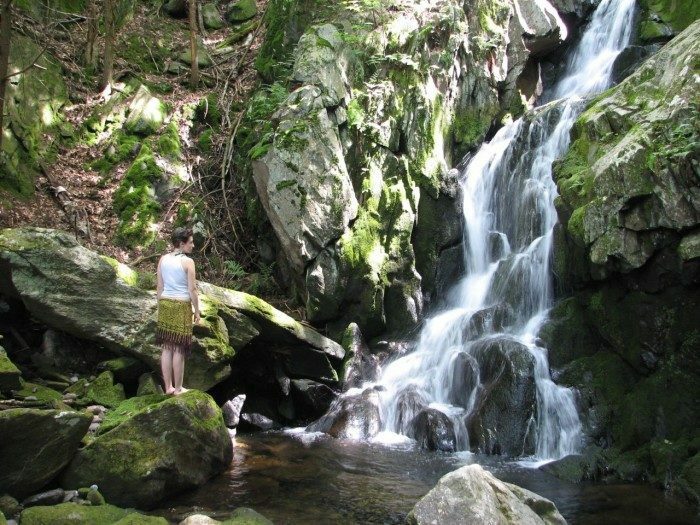 You might not know this, but Massachusetts is actually filled with spectacular waterfalls just waiting to be discovered. Nestled into forests, gorges, and mountainsides, these gorgeous cataracts are the perfect hiking destinations. 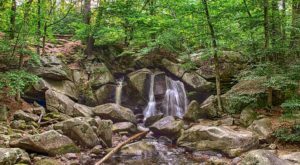 Here’s a collection of the best waterfall hikes in Massachusetts that you absolutely have to put on your bucket list. 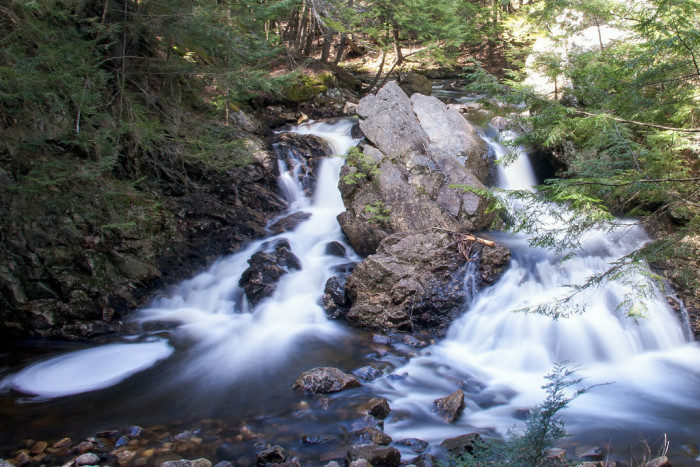 Sage's Ravine is a magical valley filled with boulders, streams, and a beautiful waterfall. This cascade is only about 10 feet tall, but it looks like something from a storybook. You can also take a dip in the pool at its foot. The hike here is about 1.7 miles and can be a bit steep at times, so bring comfortable shoes. 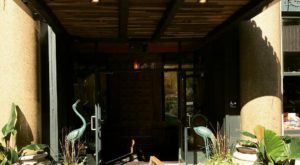 You can find parking information at the Appalachian Mountain Club's Northwest Cabin. This waterfall is tiered like a wedding cake. 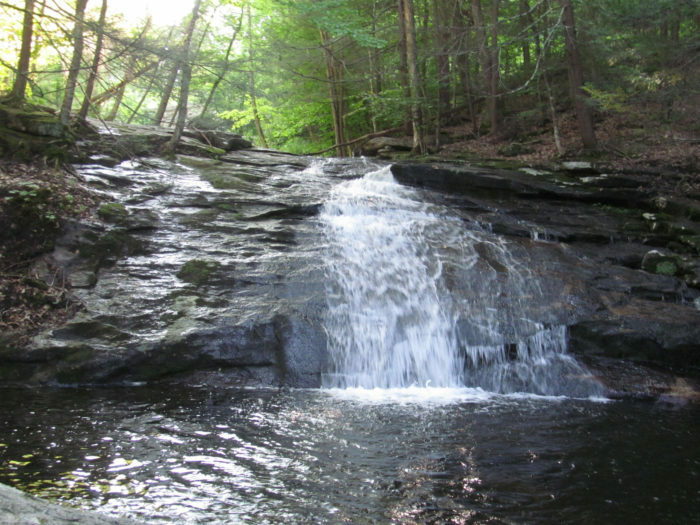 Multiple smaller cascades combine to form a 40-foot waterfall that winds its way down into a deep pool at its base. The surrounding terrain is perfect for a picnic with a waterfall view. The trail leading to the waterfall winds through northern hardwood-conifer forest and is only about 0.5 miles long. This is a stunning waterfall that also offers the opportunity to wade into its waters. 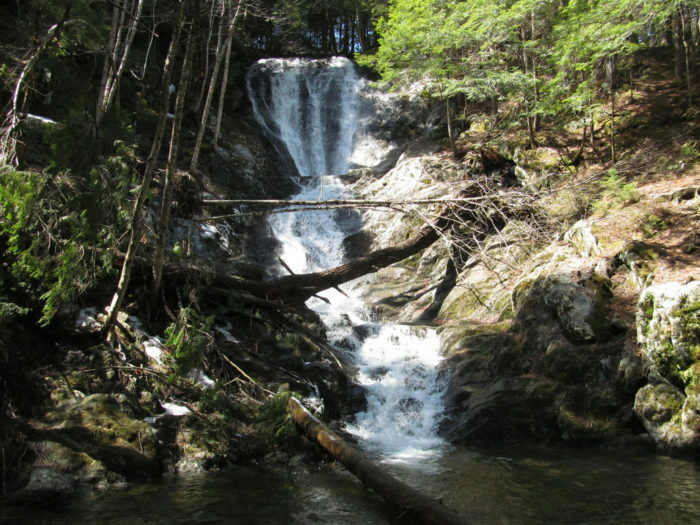 Tannery Falls has a series of 60-foot and 80-foot drops that are positively breathtaking after a rainstorm. The hike to these falls should take you about 20 minutes and is mostly downhill. Parking is only steps away from a cluster of smaller waterfalls. Peck Falls is actually a cluster of two waterfalls between Gould Road and West Mountain Road in Adams. The first fall drops about 12 feet before plummeting a further 50 feet down a stony cliff. You can wade into the upper falls if you so choose. Hiking here is easy and will only take you about five minutes from Gould Road. Do waterfalls get any prettier than this? 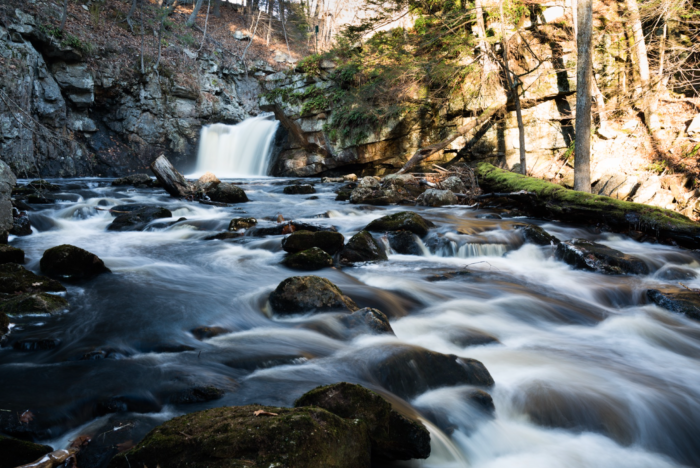 Bear's Den Falls in New Salem is a product of the Swift River and a beautiful cascade to visit in any season. The hike to the falls is only about 0.25 miles and will also take you near the ruins of an old forest mill. Just follow the stream to the left to find the mill. 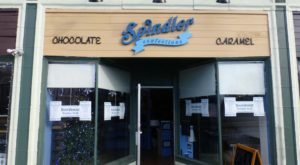 There are a surprising number of waterfalls called The Cascades in Massachusetts, but this one in North Adams is one of the prettiest. 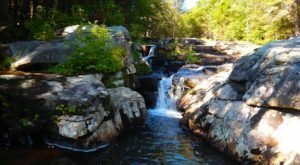 Located along the Notch Brook, seeing the 40-foot waterfall requires a bit of a hike. You'll spend around 1.5 hours on the trail, but the view is worth it. Please note that there is only room for about two cars at the trail entrance. 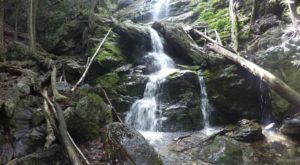 Massachusetts' tallest waterfall is also one of its most accessible. 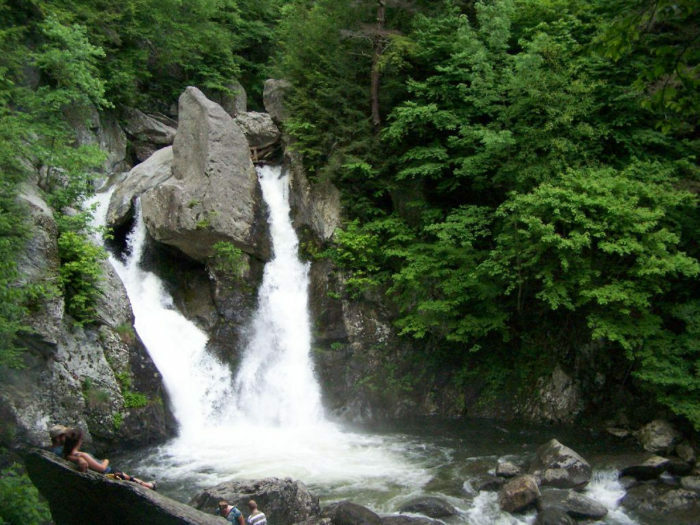 Located right on the border with New York, Bash Bish offers a nearly 200-foot cascade with a sparkling pool at its base. The trail to reach the waterfall is about two miles, which is the perfect length for an afternoon of exploring the outdoors. 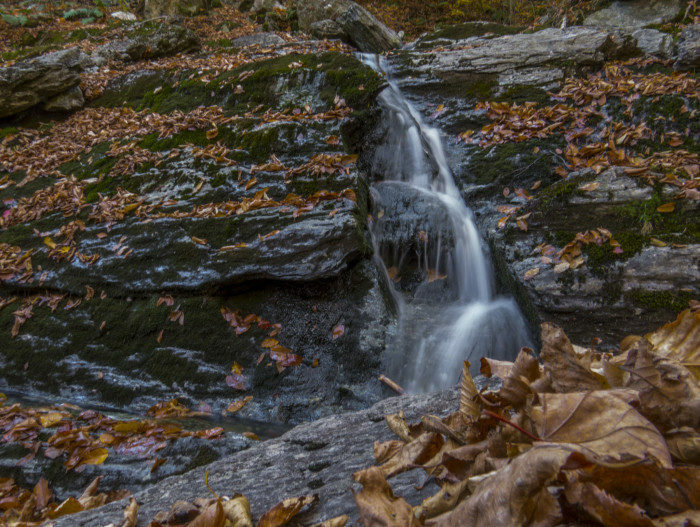 Located in the Chapel Brook Reservation, this series of waterfalls have a total drop height of about 45 feet. You can swim in the pool at its base, though the water can get quite chilly, so you might want to save this waterfall swim for summer. 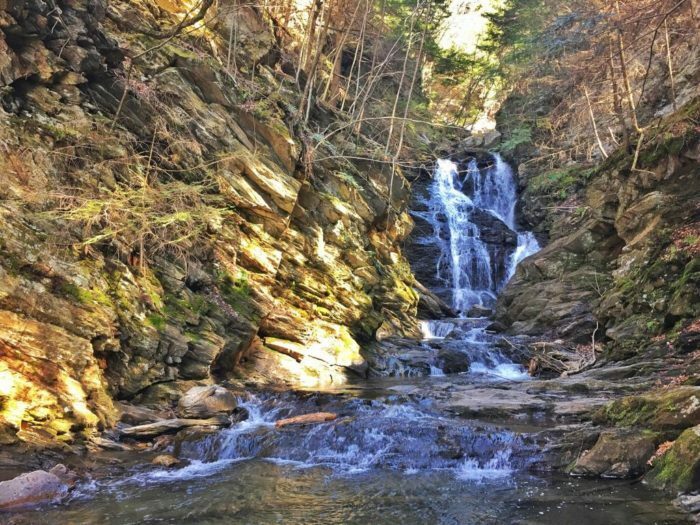 Hiking to this waterfall will lead you over 0.2 miles of mostly downhill terrain. The cascade is right next to Pony Mountain, which offers plenty of other trails to explore. 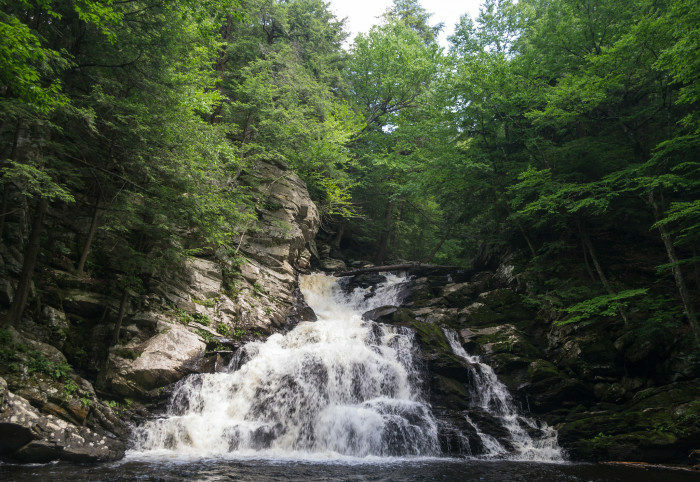 Located between Huntington and Chester, Goldmine Brook Falls only requires about a 0.1-mile hike to reach from a parking area. This is the perfect waterfall to visit at the changing of the season in fall and spring, as that's when the flow is strongest. It's not the biggest in the state, but it sure is beautiful. 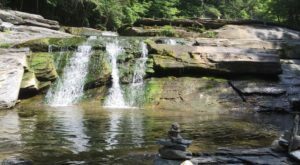 These waterfall hikes are a great way to spend a day outdoors. 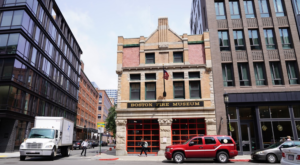 For the ultimate Massachusetts waterfall road trip, click here. 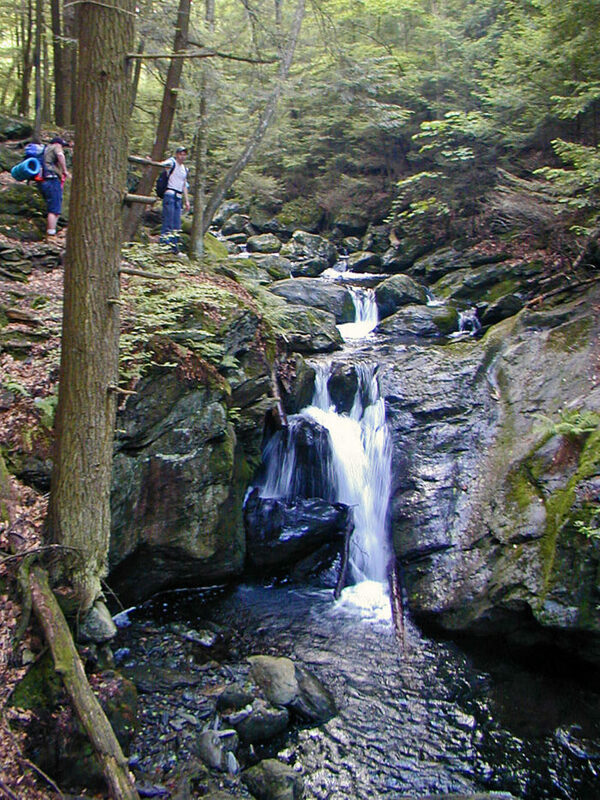 What’s your favorite hike in Massachusetts? Share and let us know in the comments!